Manchester United boss Jose Mourinho claimed his side lacked quality following a 3-1 Premier League defeat to West Ham. Jose Mourinho lamented a lack of quality at Manchester United following another loss, but insists his players' attitudes cannot be questioned. 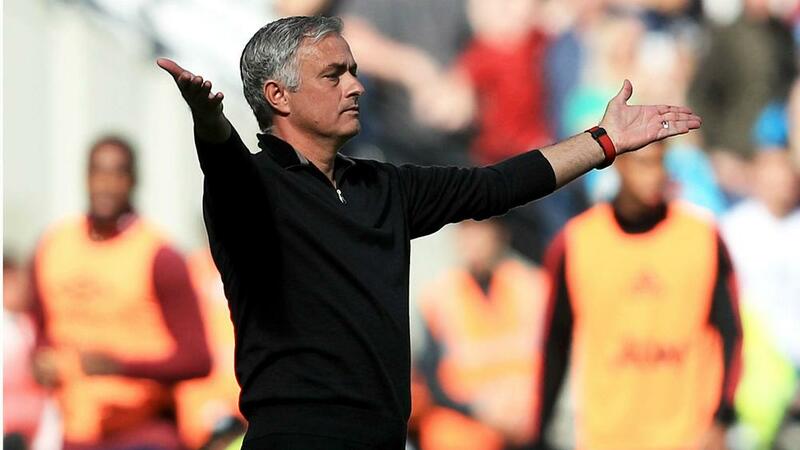 United slumped to a second successive defeat as West Ham cruised to a 3-1 Premier League victory at London Stadium to pile more pressure on Mourinho at the culmination of a difficult week. Felipe Anderson flicked the hosts ahead early on despite appeals for offside against Pablo Zabaleta, with Victor Lindelof's own-goal then making matters worse before Marko Arnautovic wrapped up the win after Marcus Rashford had pulled one back. And despite claiming that he has no concerns over the attitudes of his players, Mourinho - who took Paul Pogba off during the second half - said United's squad lacked quality. "I have no complaints with the players' attitude, I can have complaints with some quality and the mental approach in certain duals," he told BT Sport. "Where you could see for example, [Robert] Snodgrass coming to the pitch with an incredible attitude that he wants to eat the ball and eat everyone around him. "You need that humility. You have always to try. That's my nature as a football professional. There are certain qualities that you have or you don’t have. "I think a team that comes with that mental fragility, after the bad result [against Derby] and to come here and in five minutes to be 1-0 down, is not good. "No VAR and obviously a linesman [makes a] mistake and a goal. Then in the first half we had a good reaction but an own goal makes it 2-0. "An own goal when we know that [Andriy] Yarmolenko is very left footed. We know we have to cover that side. We are not aggressive enough to stop that shot and we are losing 2-0." Alexis Sanchez was not involved at all on Saturday, with Mourinho starting Anthony Martial alongside Romelu Lukaku, and United's manager revealed it was a tactical decision. "For many months people are asking for Martial, Martial, Martial," Mourinho said. "For many months people are saying Alexis Sanchez is not playing well enough. So this week was time to agree and to say, let's give a chance to Martial and let's leave Alexis out." West Ham, meanwhile, have now won two of their last three league games having lost their opening four fixtures in the division under Manuel Pellegrini, but the former Manchester City manager was adamant complacency must not kick in. "Against Everton, Chelsea, Manchester United, people thought we were going to have no points," Pellegrini told BT Sport. "Now we are in a good moment, but this is a very difficult moment also. If you think you are going to beat Brighton because you beat United, then you are going to lose."